Hey guys, good morning. Alberto Riehl here. Riehl’s Rants. I gotta tell you, I’m in Mexico City right now, it’s been an amazing trip. Today’s my last day; I fly out tonight. 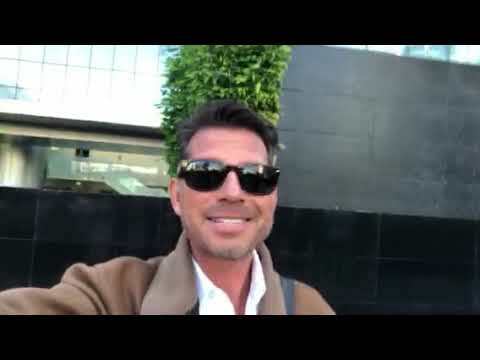 I’m actually walking down the street from the hotel to the convention center where Grant Cardone is about to do a training for about four hours. I met with him yesterday, had a one-on-one with him yesterday, and I gotta tell you, it was awesome. Absolutely awesome. Let me see I gotta figure out where I’m gonna go here. The … You know, there’s so many things that he answered for me that are just gonna add tremendous value to our business and to our clients even more importantly. The more we do for our clients, the better we do, right? But one of the things that really just slapped me in the face and I kept thinking about all night and it made me super excited was just one sentence that he said. And what he told me was, he said, “Alberto, you’re not even asking the right questions.” He told me that. Straight up. He said, “Alberto, you’re not even asking the right questions.” Now let me explain how that came about. I wanna get to 100 million. That’s my goal. I want to get our business to $100 million dollar business a year. He’s done that already. He’s blown way past that, right? He does a lot more than 100 million a year. So I thought, “Okay, this is the guy that can help me do it.” And that’s a shortcut to success is we find somebody that has done or is doing what we wanna do and then we just copy them. That’s why I had the one-on-one with him. But that’s something that i tell my clients and I tell agents almost every day. I say, “Guys, you’re not even asking the right questions.” And the reason I say that is I’m talking to agents that are making maybe 15,000, 20,000, sometimes 25,000 a month. That’s about average, you know, 250, 300,000 a year. But they wanna get to that seven-figure mark. They wanna get to a hundred thousand a month and for me I can look back, and this reminds me of Steve Jobs’ favorite speech at Stanford, he talks about everybody tries to connect the dots going forward but you can’t do it going forward. Only looking back can you connect the dots and it all becomes very very simple. And so when agents that are earning 25,000 a month are asking me questions on how to get to 100,000 a month I tell ’em the same thing, I’m like, “Dude, you’re asking the wrong questions.” ‘Cause I’m looking back, having done that, and it’s very simple. Now, it’s not easy, it takes a lot of hard work, but it is very very simple. It’s so clear to me. I have such clarity of what they need to do in order to get to that 100,000 a month, but for them, they don’t know what they don’t know. So that’s pretty exciting to me. So we have a follow-up call with him and his Vice President and guys we got some big things coming. Not sure exactly what it’s gonna be yet but we’re gonna be doing something together. We’re gonna be impacting the life insurance industry like nobody else has. We’re gonna be turning it upside down. We’re gonna be disrupting it. I just can’t wait, man. I’m so excited and now I’m gonna go learn some more for about four hours and guys, we’ll see you on the next video.